I’ve been avoiding my yoga practice for months. In fact, I’ve been avoiding most physical activity. I do climb the nine flights of stairs in my building on a semi-regular basis. Mostly though since Harvey the Cat got sick, I have been shockingly sedentary. 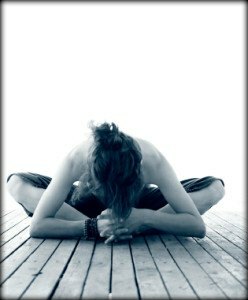 Yin yoga is a practice that I have been recommending to my 15-Week Miracle Coaching Program clients for years. And last night as I finally moved through my resistance, and did a full one-hour session of yin yoga, I remembered why I recommend it to my clients. Before the yin yoga, I stepped through one of my booty videos. This felt painful, and not only because I have lost some of my strength over the past few months of nursing my cat back to health. It also felt painful because each new muscle I stretched and exercised released some grief. I was gentle with myself and did not attempt more than one video. Then I settled in for a full one-hour of yin yoga. And … oh … my. In yin yoga, we hold the poses for extended periods of time. In this video, the instructor asks us to hold the yin yoga poses for three to five minutes. This allows us to sink in to the fascia and connective tissue. Oh my … with each new pose, the pain I wanted to avoid. All that trauma and grief from the past few months of terrifying journey with Harvey the Cat has definitely settled in to my joints and muscles. The agony and the ecstasy of yin yoga … At one and the same time, it felt so painful, and yet also so good. I needed to feel those feelings, and yin yoga made the feelings easy for me to access. I released and released, and by the end of the session, I felt exhausted and ready for bed. Today, the after effects of yin yoga were having a more powerful session with my client who needed to access her emotions … and recording more powerful Holistic Belief Reprogramming videos … because with full access to emotions, we can create much faster and more powerful transformation. Tonight I am feeling grateful for yin yoga, and all the other transformation tools that I learned over the years and incorporated into the super fantabulous 15-Week Miracle Coaching Program.